What’s The Best Cryptocurrency To Invest In 2018? Are you looking for the best cryptocurrency to invest in 2018? 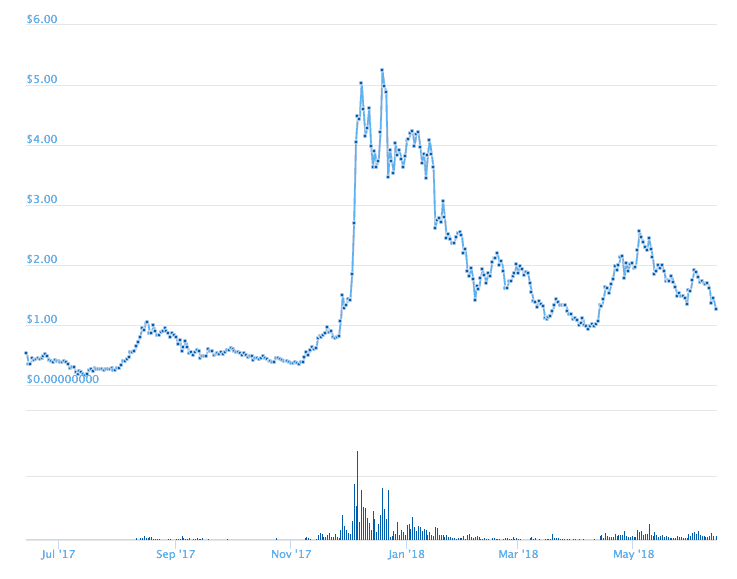 The cryptocurrency market this year has been a little crazy, to say the least. And after years of trading stocks, I’ve never seen anything like it. So whilst Bitcoin is finally hitting the mainstream, alternative cryptocurrencies (also named ‘altcoins’) are just getting started. This guide will run through my top 10 best cryptocurrencies to invest in 2018. Top 10 Best Cryptocurrencies To Invest In 2018. 1.4. Why Is Litecoin A Top 10 Cryptocurrency? 1.5. Is Litecoin The Best Cryptocurrency To Invest In 2018? 1.6. Why Shouldn't You Invest In Litecoin In 2018? 2.4. Why Is IOTA A Top 10 Cryptocurrency? 2.5. 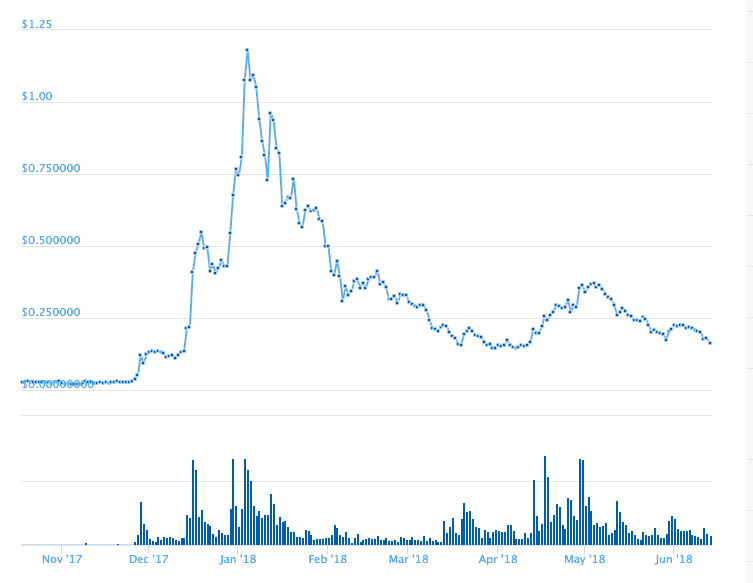 Is IOTA The Best Cryptocurrency To Invest In 2018? 2.6. Why Shouldn't You Invest In IOTA In 2018? 3.4. Why Is Monero A Top 10 Cryptocurrency? 3.5. Is Monero The Best Cryptocurrency To Invest In 2018? 3.6. Why Shouldn't You Invest In Monero In 2018? 4.4. Why Is OmiseGo A Top 10 Cryptocurrency? 4.5. Is OmiseGo The Best Cryptocurrency To Invest In 2018? 4.6. Why Shouldn't You Invest In OmiseGo? 5.4. Why Is Ethereum A Top 10 Cryptocurrency? 5.5. Is Ethereum The Best Cryptocurrency To Invest In 2018? 5.6. Why Shouldn't You Invest In Ethereum In 2018? 6.4. Why Is Tron A Top 10 Cryptocurrency? 6.5. Is Tron The Best Cryptocurrency To Invest In 2018? 6.6. Why Shouldn't You Invest In Tron? 7.4. Why Is Bitcoin A Top 10 Cryptocurrency? 7.5. Is Bitcoin The Best Cryptocurrency To Invest In 2018? 7.6. Why Shouldn't You Invest In Bitcoin In 2018? 8.4. Why Is Stellar A Top 10 Cryptocurrency? 8.5. Is Stellar The Best Cryptocurrency To Invest In 2018? 8.6. Why Shouldn't You Invest In Stellar In 2018? 9.4. Why Is Cardano A Top 10 Cryptocurrency? 9.5. Is Cardano The Best Cryptocurrency To Invest In 2018? 9.6. Why Shouldn't You Invest In Cardano In 2018? 10.4. Why Is Steem A Top 10 Cryptocurrency? 10.5. Is Steem The Best Cryptocurrency To Invest In 2018? 10.6. Why Shouldn't You Invest In Steem In 2018? How I Do Choose The Best Cryptocurrencies To Invest In? Timing The Market In 2018. Long Term Vs Short Term Cryptocurrency Investing. What's The Best Cryptocurrency Stock To Invest In 2018? Wondering what’s the next big altcoin of 2018? Feel like you’ve missed the boat with Bitcoin? Don’t worry – this is far from over. Cryptocurrency is still just getting started. We’re barely scratching the surface. Most investors are still intimidated by cryptocurrency. So in reality, altcoins haven't even hit the mainstream yet. 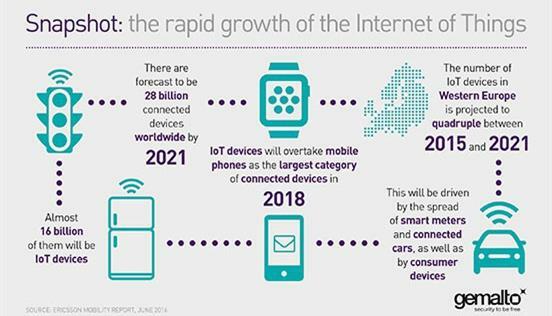 It’s like watching the birth of the internet or mobile phones – there’s just so many investment opportunities. And that’s why I’ve written this guide on the best cryptocurrency to invest in 2018. With nearly 3,000% gains in 2017, Litecoin had one hell of a year. 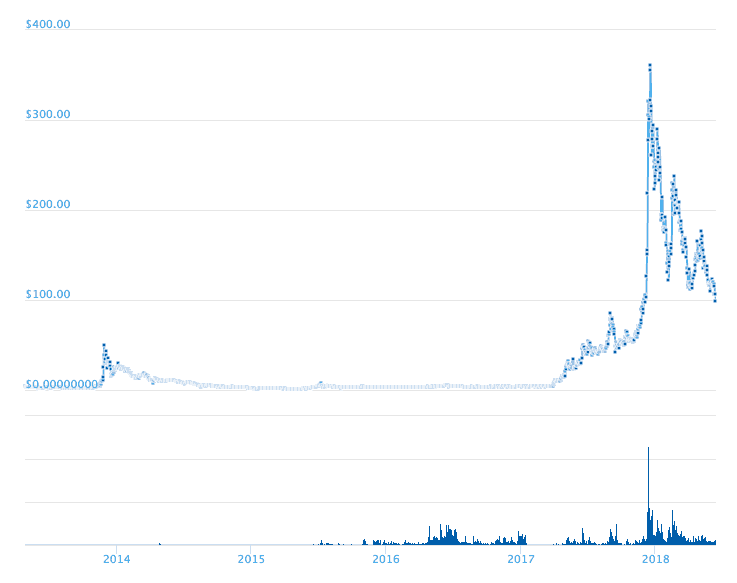 Since launching in 2011, Litecoin is one of the world’s most traded cryptocurrencies. And compared to Bitcoin, it offers much faster transaction times. It also has lower transaction fees – so it costs less to process payments. When you scale up the fees across thousands of transactions, you can see how useful Litecoin could become. Compared to Bitcoin, not a lot of people have heard of Litecoin, unless they’re already familiar with cryptocurrencies. However, Litecoin is catching up quickly. It's faster, cheaper and more efficient compared to BTC. Plus Litecoin also has the scarcity factor. You see, cryptocurrency prices are all about supply and demand. And with a limited number of coins available, the more people buy it, the higher the price inflates (in theory). Fast. ​Litecoin’s technology is quicker for payments than Bitcoin, making it more scalable and practical for businesses and customers. Experience. LTC has been around since 2011 and stood the test of time so far – which is relatively long for a cryptocurrency. Secure. Litecoin’s encryption technology is safe and secure – creating more confidence for buyers. Mainstream Adoption. Coinbase sells Litecoin. That's a huge selling point because it’s so easy and accessible to buy compared to other alt coins. IOTA is another highly anticipated cryptocurrency. But it's main USP is their tangle technology. This is unique because most cryptocurrencies operate via the blockchain. Tangle could allow more scalability and security. Plus news is spreading of IOTA partnering with some of the world’s biggest technology firms. This includes rumours of partnerships with Microsoft, Volkswagen and Fujitsu. Subsequently, it's become one of the best cryptocurrencies to invest in 2018. So as you might've guessed from the name, IOTA is targeting the IoT (Internet of Things) market. These are basically everyday commodoties that connect to the internet. As you can imagine, that covers millions of devices including mobile phones, cars and traffic lights. These IoT devices are processing thousands of micro transactions every day. So with it's scalability features, enhanced security and zero fee transactions, IOTA plans to become the token that's exchanged via these micro transactions. The Internet Of Things (IoT) industry is only going to expand - which means more growth potential for IOTA. IOTA uses a revolutionary technology called Tangle – which in theory is more time efficient than other blockchain cryptocurrencies like Bitcoin. It’s a little more lightweight and scalable than Blockchain technology too. If you’re interested in the technical details, check out this guide to learn the differences in the blockchain vs Tangle. This is one of the biggest reasons why IOTA is just beginning to grow. Basically, their technology makes it tricky to integrate with cryptocurrency exchanges. Zero Fees. With no transaction fees, IOTA can be used for thousands of micro-transactions. This makes it highly scalable. Quick Transactions. With IOTA, payments can be sent extremely quickly. Scarcity. 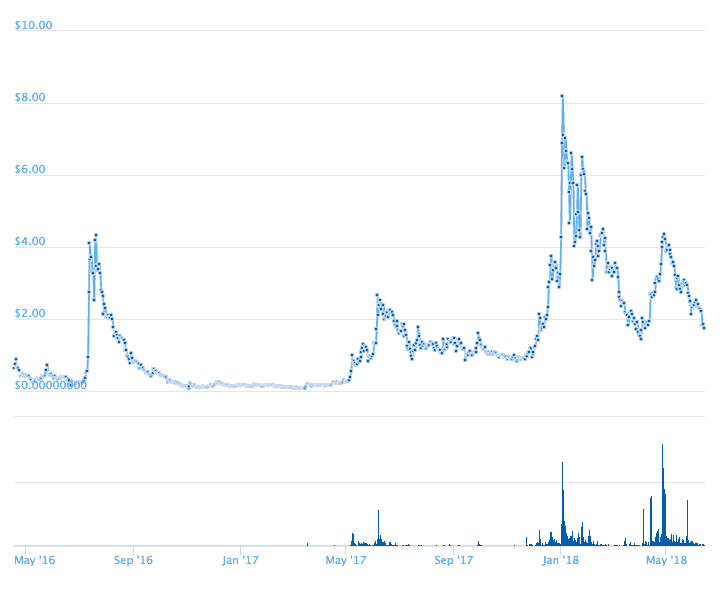 There’s a fixed number of IOTA tokens in circulation, creating the ‘scarcity factor’. Unique Technology. 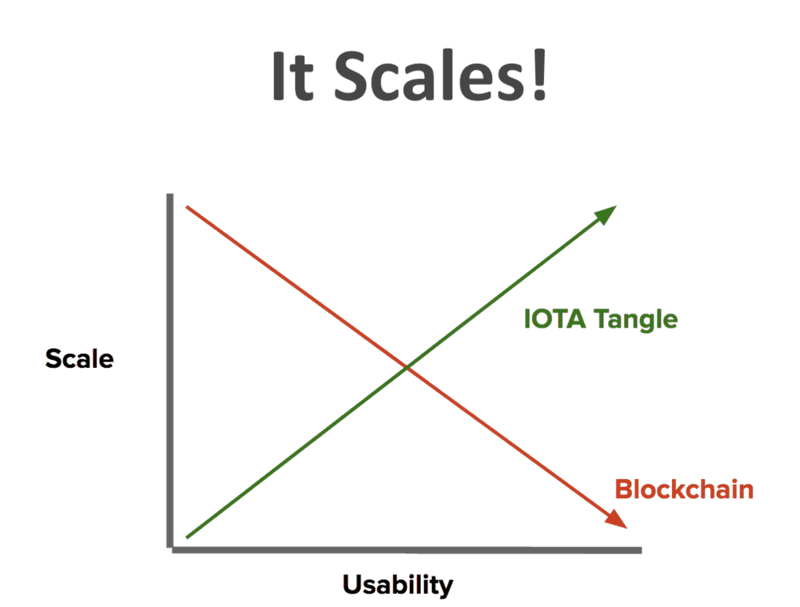 IOTA doesn't operate via the blockchain - instead it uses a different system called Tangle which allows infinite scalability. No Mining. Tangle's technology means there are no transaction or miners on the network. One of the biggest differences between Bitcoin and Monero is that Monero is ASIC resistant. Simply put, it's cheaper and easier to mine. Because Monero’s blockchain doesn’t have the high powered demands of Bitcoin, anyone can get involved in mining. Therefore it's community and network will continue to grow. With Bitcoin, you need a lot of electricity and a high performance computer to mine it. In contrast, Monero is much more efficient – you simply download the wallet, click a button and start mining. Monero's also highly untraceable, allowing more privacy for their users. If you want more technical info about Monero, this guide is a decent starting point. With innovative technology like stealth addresses, Ring Signatures and Ring CT, Monero has plenty of interesting features. One of Monero’s biggest USPs is the fact that it’s focused on privacy – and that reflects trust. Nobody can see your transactions with Monero – so your spending history is completely anonymous. Now compare that to Bitcoin. With Bitcoin, if someone knows your wallet address then they can also see your entire payment history. So Monero gives users more control over their personal data. Trust. 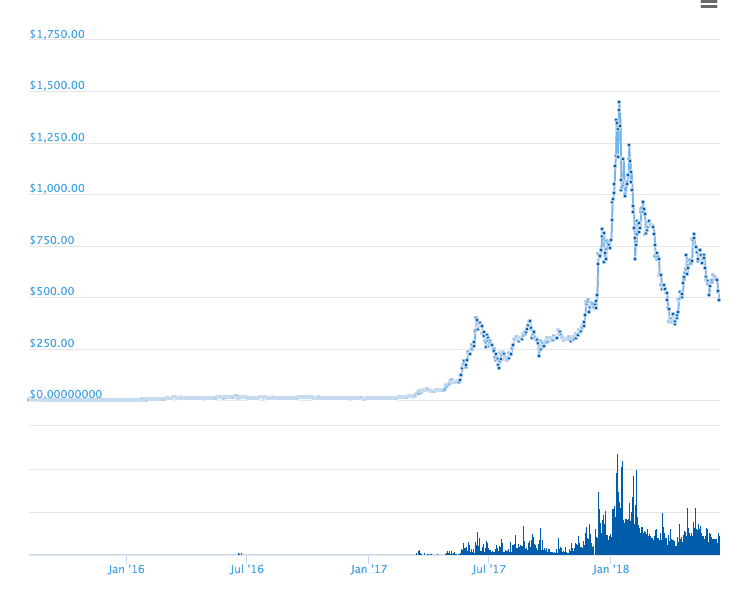 Ever noticed how the price of Bitcoin plunges every time there’s a new hack or attack? That’s because of a lack of trust. Monero’s privacy benefits allows more confidence because it’s more secure, private and resistant to cyberattacks. Adoption. It’s far easier to mine – requiring less electricity and hardware compared to Bitcoin. The easier Monero is to mine, the more it's community and adoption will grow. Development Team. With 180+ developers on the Monero project, this cryptocurrency has the support and resources it needs to become a successful project. With over $25.5 million invested in OMG, OmiseGo was originally developed in Thailand. OmiseGo is a payment platform. It's like a dencentralized exchange combining both Fiat and cryptocurrency. So what can OMG be used for? OmiseGo is actually one of the best cryptocurrency projects I've seen on the market. I'll go into more detail on that below. OMG has already become popular across Asia. They've established offices across Thailand, Japan and Indonesia. 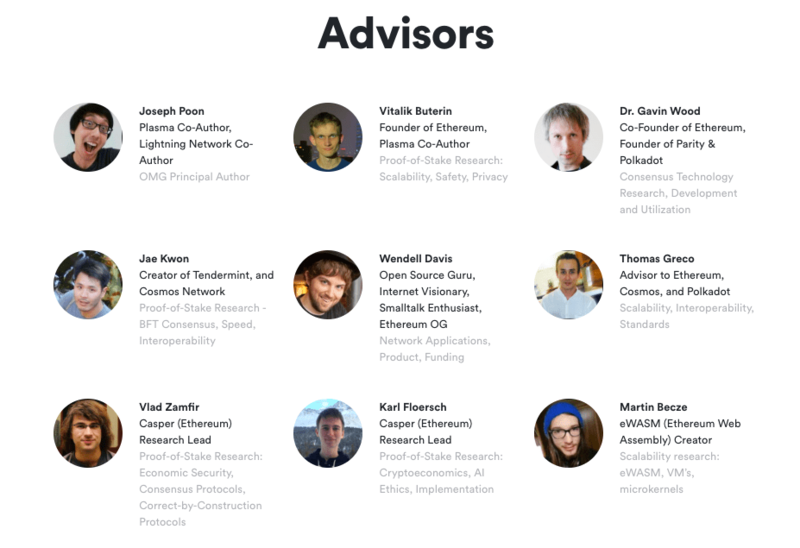 Their development team have pretty much all come from the Ethereum Foundation - another successful blockchain project. Members of their team have also helped on plenty of other cryptocurrency projects including Cosmos, Hydrachain and Golem. After partnering with giant corporations like McDonald’s, you can see the potential for OMG to be used in the ‘real world’. OmiseGo offers a practical way to spend cryptocurrency. You don't need a bank account or exchange account to use OMG tokens. Useful: Need more info about OmiseGo? Check out my OMG coin review for it's pros, cons and use case. Partnerships. OMG have already landed partnerships with plenty of consumer facing companies. With businesses like McDonald’s Thailand already working with OmiseGo, this is a really exciting time for their team. Use Case. Due to their practical usage, they could be the ‘go to’ option for gift cards, loyalty points and remittances across Asia. 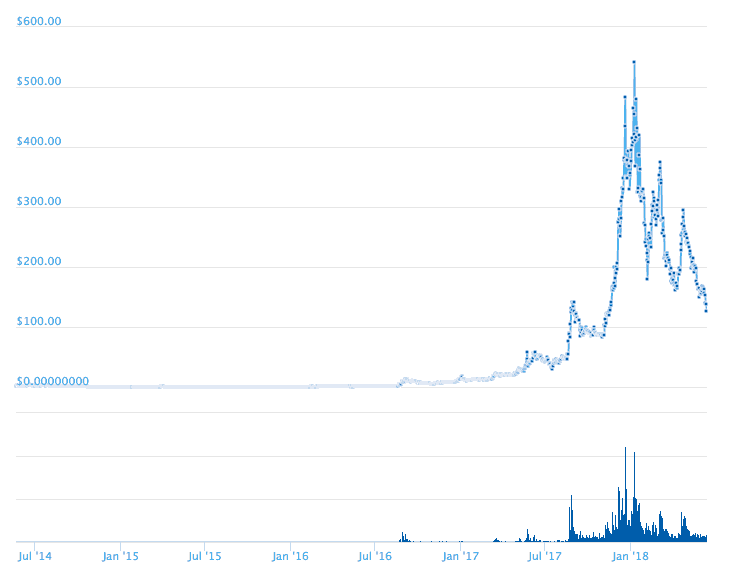 Ethereum’s rise to fame has been meteoric. With it’s unique Ethereum Virtual Machine technology, developers don’t need to create their own blockchains from scratch. This makes it an ideal companion for developing decentralized apps. 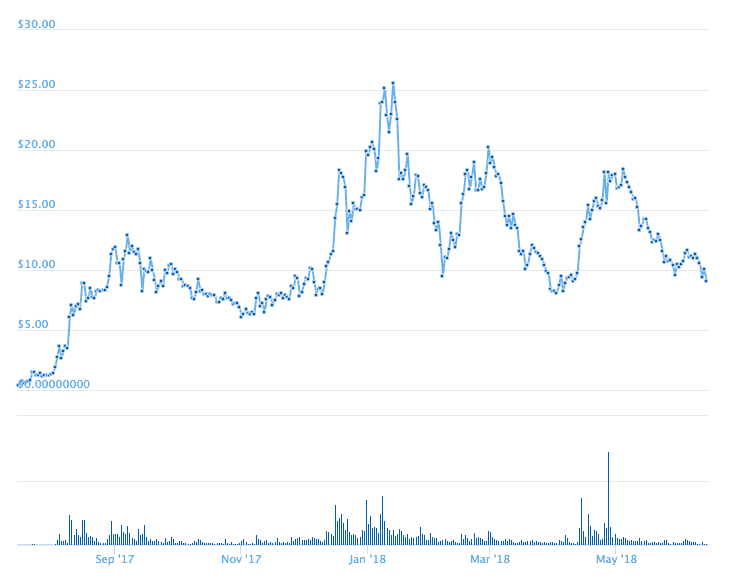 One problem is that when Cryptokitties was recently launched (they're kind of like modern day Tamagotchi’s) Ethereum really struggled with the demand. The market crashed and orders were backlogged. This is a sign that Ethereum isn’t quite ready to cope with high volume usage just yet. Pro Tip: Want to learn more about Ethereum? Discover everything you need to know here. With it's decentralized apps technology, ETH has the second highest market cap in the world (after Bitcoin). Ethereum is also the most popular ICO platform in the world. There are new ICOs being launched every single day. Some of them raise millions of dollars. Community. Ethereum has a lot of confident investors. It’s one of the most traded cryptocurrencies in the world and is seen as a worthy competitor to Bitcoin. Growth. 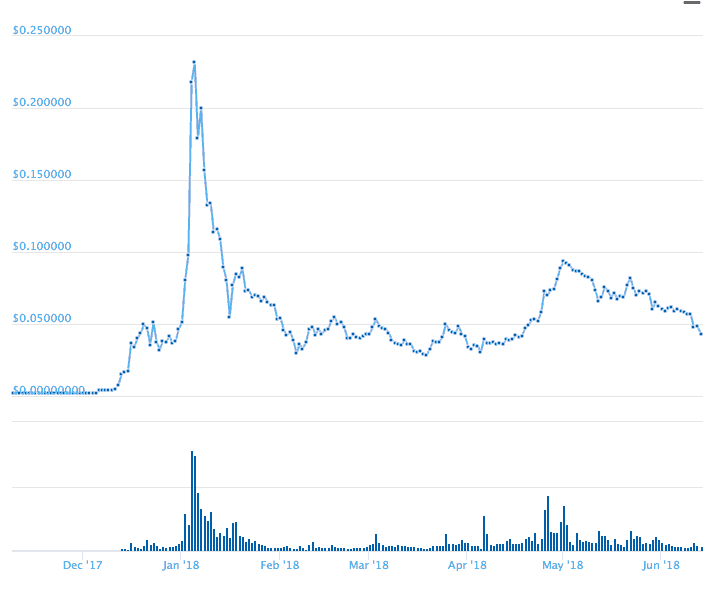 Ethereum has grown by over 5,000% in 2017 alone. 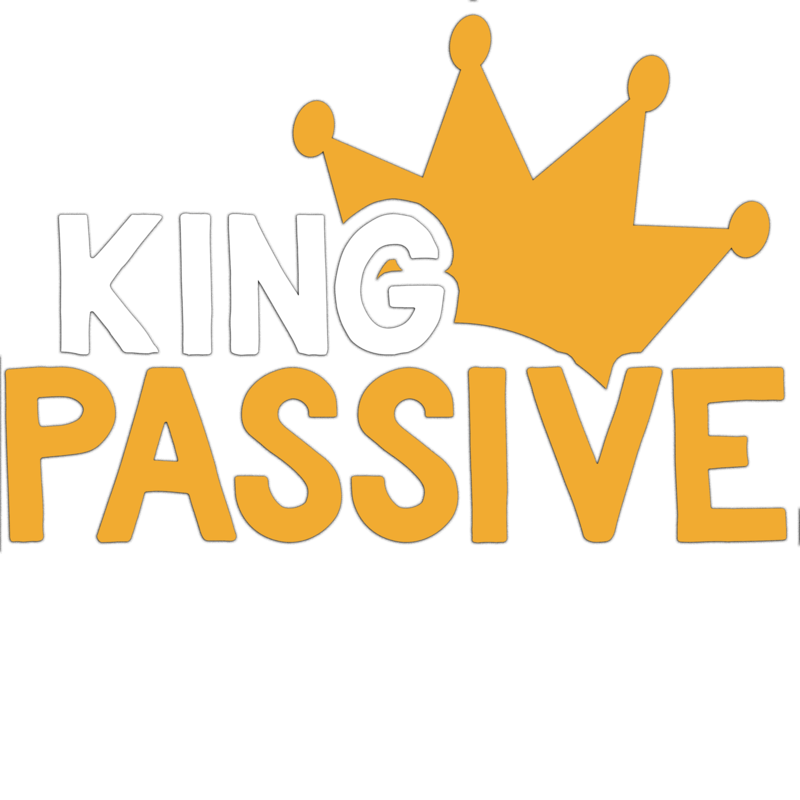 Even for cryptocurrency standards, that is extremely high and signals the potential of this coin. Adoption. Due to the EVM technology, it’s easier for developers to integrate this cryptocurrency with their own apps. Tron is a technology designed to decentralize content on the web. So instead of using third parties like YouTube, Facebook or Reddit, content producers would be able to monetise their content completely independently. That means no ads, censorship or advertisement friendly content. It could create a more decentralized, secure and rewarding version of the internet. Useful Link: To learn more about TRX, check out my answers to 30 of Tron's top FAQs. Everything we consume on the internet is content - videos, blogs, social media etc. If Tron's platform hosts most of the web's content, it could completely change the internet as we know it. Strong Use Case. Content producers are tired of bowing down to third party censorship problems. Tron could solve the problem of web centralization. Privacy. Facebook and Google have both faced criticism around privacy issues. Tron could solve major net neutrality problems on the web. Team. Tron's founder, Justin Sun, already has one of the most successful audio apps in China (called Peiwo). He has the experience and expertise to make Tron a success. Justin Sun actually sold off a lot of his TRX tokens. Is that a sign of his lack of confidence in the coin? Bitcoin was the first ever cryptocurrency to be created. BTC is like the cryptocurrency version of gold. 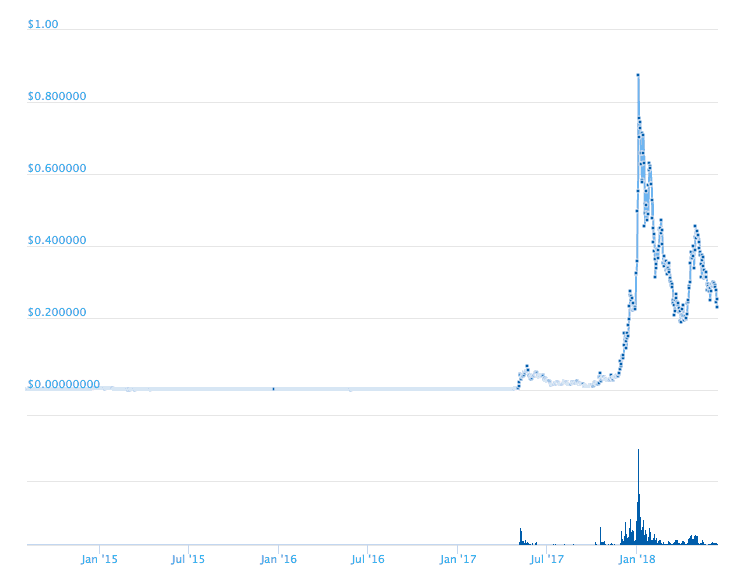 Whilst it's not practical yet for scalability - it's still used as a measure of value across the cryptocurrency market. Useful: For more info on BTC, check out my full guide 'What Is Bitcoin' here. 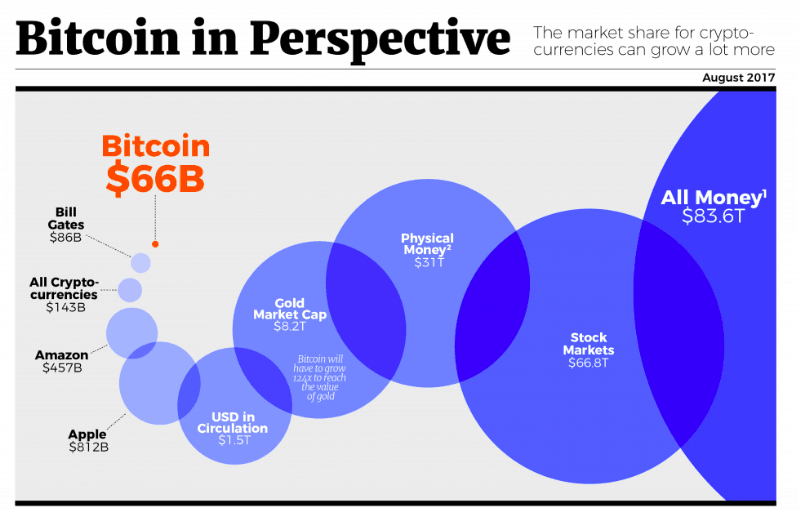 It's undeniable, Bitcoin is a giant. Whilst it's value is far from stable, Bitcoin is still less volatile than the rest of the market. Plus it has the largest brand recognition in the world. Bitcoin was actually the most Googled word in 2017. Brand Recognition. Despite being infamous in the media, Bitcoin is still the most recognised cryptocurrency around the world. Adoption. Bitcoin still has the largest market cap in the cryptocurrency world. It could remain that way for a long time. Lightning Network. Once Bitcoin launches the lightning network later this year, it could completely transform the coin's scalability and value. Value. Investing in Bitcoin is like the cryptocurrency version of investing in gold. Despite it's lack of a practical use case, it's still the standard measure of value for cryptocurrency trading. Stellar is a payment network that can be used for faster, cheaper international transfers. Stellar has a bright future ahead of it. They've announced several high profile client partnerships. Plus they're constantly developing their technology for lower fees and more scalability. Extremely Useful. The international payments industry accounts for a large chunk of the financial sector. XLM has a huge audience to go at. Fast. With lightning fast payments, Stellar is highly scalable and could become a rival to other payment platforms such as PayPal or Western Union. Partnerships. XLM has announced several partnerships - including one with IBM. Stripe have also discussed launching support for XLM. Cardano is very similar to Ethereum. It's a platform developers can use to create their own decentralized apps. Whilst Cardano offers similar functionality to the likes of EOS or Ethereum, they're going one step further. ADA is developing a technology that integrates with other blockchains. This might sounds basic, but most cryptocurrencies aren't interchangeable with other blockchains. And that creates a huge problem. It's the blockchain equivalent of not being able to use a Windows PC to view certain websites. Team. ADA's founder, Charles Hoskinson, is experienced and ambitious. He's already delivering on his promises for ADA - including their Proof of Stake upgrade. Vision. Just read Cardano's whitepaper and you'll see that they're a serious project with a lot of ambition. Anti-Hype. The problem with the cryptocurrency industry is that projects often become over-hyped. ADA are more about proving their credibility and building trust first. Scalability. ADA's plan is to solve scalability problems in the cryptocurrency community. They're aiming to achieve this by making their technology compatible with other blockchain projects. Essentially, Steemit is a social media network - and Steem is the cryptocurrency used on the platform. It's like a blockchain version of Facebook or Reddit. However, the beauty of Steemit is that it has no adverts. It's like going back in time and using the internet 15 years ago. Plus it literally pays people to produce content on the platform in Steem tokens. Steem is actually one of the first social media projects powered by the blockchain. Whilst many cryptocurrencies don't have a use case, Steem's is obvious. Producers (think bloggers or vloggers) are rewarded by creating popular content. The more popular their content is, the more they're rewarded by the platform. Adoption. The Steemit platform already has over 500,000 active users. Tried & Tested. The fact that Steemit is so active shows that it's blockchain technology is capable of being scaled up. No Advertising. Content producers on Steemit are rewarded with Steem - rather than having to monetise their content with adverts. Steem Power. The more Steem tokens you hold, the more influence you have on the social network. This platform basically rewards you for being a part of the community. Cryptocurrency investing is a highly debated topic. So you might be wondering how I created this list. And why are these the best cryptocurrencies to invest in 2018? 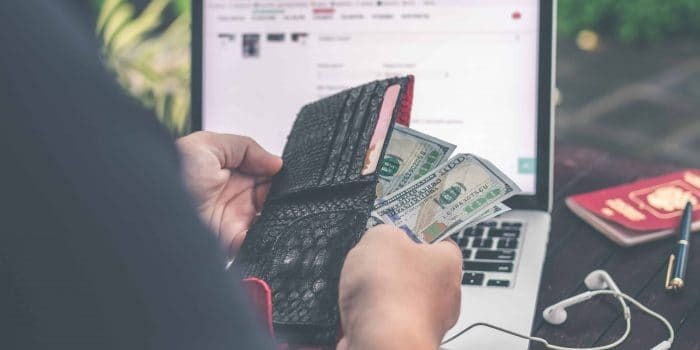 If you've invested in cryptocurrency already, then you know that coin values are highly susceptible to market news. So there you have it – the top 10 best cryptocurrencies to invest in 2018. Now personally, I'm holding my investments long term. Some people in the cryptocurrency world call it ‘Holding On For Dear Life’ (HODLING). If you’re new to this, I wouldn't recommend day trading. Instead, I simply buy, hold and forget. And if you keep buying and selling everyday, you're liable to making rash, emotional based trading decisions. Which is basically how most people lose money whilst investing in cryptocurrency. When it comes to cryptocurrency, never invest more than you can afford to lose. No one knows what the market will do next. I’d also recommend only storing your cryptocurrency offline in a hardware wallet. Pro Tip: Storing your cryptocurrency investments in a hardware wallet is essential. Check out my hardware wallet reviews for tips. Before you start looking at coin prices, it's important to understand that a cheap price doesn't necessarily mean more growth opportunities. e.g. 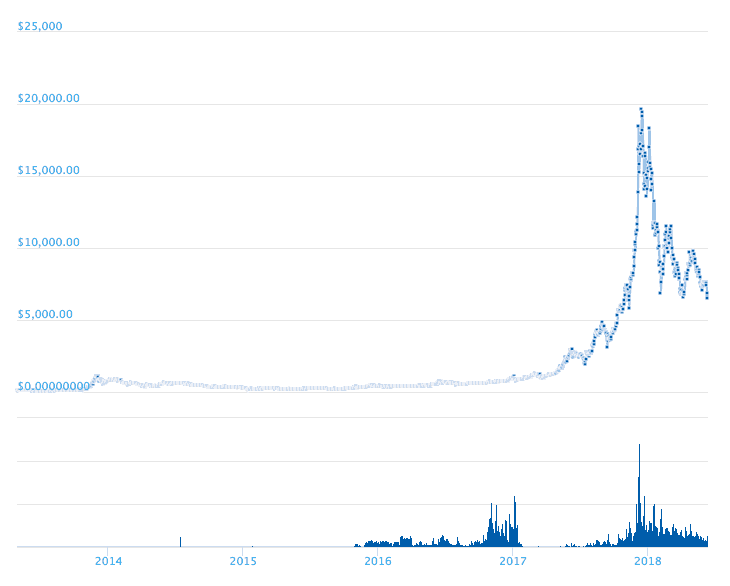 Bitcoin hit $7,000 in November 2017 - then raced all the way up to $19,000. Having said that, Tron cryptocurrency fits this criteria. Because Tron has so many tokens in circulation, their value per coin is relatively cheap compared to the rest of the market. Their team, technology, business model and experience are all extremely positive signs. Coin Review: Wondering if OmiseGo is the right investment for you? Then check out my coin review of OmiseGo. If you're looking for a smaller, less well known cryptocurrency investment, check out my review of Fuel cryptocurrency. They're essentially planning to become the WordPress of decentralized apps. That's a huge market with a lot of potential. My personal pick is Overstock (OSTK). But Overstock is more of a long term hold, not a quick win. Plus investing in blockchain related stocks doesn't offer the same sort of growth prospects as trading cryptocurrencies directly.